A case study of football player Michael Vick being charged with animal fighting. Animal fighting has been brought to the forefront of the nation’s attention by the highly publicized conviction of NFL star quarterback Michael Vick and three of his associates on federal and state charges related to illegal dogfighting. Vick and his associates operated the aptly named “Bad Newz Kennels,” which housed and trained over 50 pit bull dogs, staged dog fights, killed dogs, and ran a high stakes gambling ring with purses up to $26,000. The exposure of Bad Newz Kennels helped alert the nation to the viciousness of dogfighting that is commonplace in many communities despite the fact that dogfighting is outlawed in every state and, to some extent, by the federal government. To read about new laws and tougher penalties that have been enacted in the wake of the Vick case, see the Animal Legal Defense Fund’s Animal Fighting Facts. The clandestine operation went undetected until law enforcement discovered it while investigating another crime. Illegal gambling was a major part of the operation. Shelters housing the seized dogs had to implement high security precautions. The federal government brought charges (this is extremely rare). One of the defendants had a very high public profile. The dogs were not euthanized when the case concluded. The court appointed a guardian/special master to handle final disposition of the dogs. Michael Vick, then 21, began his rookie year as a professional football player the same year he and three associates – Purnell Peace, Quanis Phillips and Tony Taylor – began a dogfighting operation named “Bad Newz Kennels” at a property purchased by Vick in Surry County, Virginia. They bought dogs in Virginia and other states and brought them to the new facility. Michael Vick became a registered dog breeder. The co-conspirators set up the property for a dogfighting venture. They built a fence along the side of the property, so that their activities would not be visible. They buried car axles with heavy chains, a common method for securing fighting dogs since the pivoting axle prevents the chain from tangling. In 2004, Vick had a 10-year, $130 million contract with the NFL. By 2006, he was the NFL’s highest-paid player. Vick initially placed blame for the dogfight enterprise on family members who lived at the property, and he claimed that he never visited the property. “Politicians,” added (Chris) Samuels, who found it hard to keep from giggling while Portis was talking. “Presidents,” added Portis with a laugh. A witness told federal investigators that dog carcasses were buried on the property. A federal investigator then asked local authorities to execute a search warrant, but they did not. After waiting for a week, officials with the U.S. Department of Agriculture executed their own search warrant and found the remains of 6-8 dogs in two mass graves. A month later, on July 6, Federal investigators executed a fourth search warrant. Vick, now 27, and his three associates were indicted by a federal grand jury in the Eastern District of Virginia and charged with violating federal law 18 U.S.C. § 371 Conspiracy to Travel in Interstate Commerce in Aid of Unlawful Activities and to Sponsor a Dog in an Animal Fighting Venture. The “interstate commerce” requirement gives the federal court jurisdiction over an activity otherwise regulated by the state. Interstate commerce in the Vick case included transporting fighting dogs across state lines and hosting dogfight participants from other states at Bad Newz Kennels. The charge is a felony with a maximum penalty of 5 years prison. A charge under the Animal Welfare Act (AWA) for animal fighting activities in violation of 7 USC § 2156 would have carried only a maximum penalty of one year per violation. After his three co-conspirators pled guilty and began cooperating with authorities, Vick also pled guilty, admitting to funding the dogfighting operation and the associated gambling operation. He admitted to knowing about four dogs that his co-conspirators killed in 2002, and he admitted to agreeing to the hanging and drowning of 6-8 dogs who underperformed in 2007. Vick admitted he provided most of the operation and gambling monies, but he claimed he did not gamble by placing side bets or receiving proceeds from the purses. Under the sentencing guidelines for this crime, most first time offenders would have received no jail time. However, Chuck Rosenberg, the U.S. attorney who prosecuted the case, described the behavior of Vick, Peace and Phillips as “heinous, cruel and inhumane”, so he required that they accept a provision in the plea agreement that they “understated the severity of their conduct and that a sentence substantially above what would otherwise be called for by the guidelines would be appropriate.” Rosenberg recommended 12-18 months in prison rather than 0-6 months. Co-conspirator Tony Taylor was not included in this recommendation since he was the first to plead guilty and assist in the investigation. A sentencing hearing was scheduled for December 10, 2007. The NFL suspended Vick indefinitely without pay. After he is freed from prison, he could be reinstated. one count of violating VA Code Ann. § 3.1-796.122(H), which makes it a Class 6 felony to engage in the torture, ill-treatment, beating, maiming, mutilation, or killing of animals. Peace, Phillips and Taylor were charged with promoting dogfighting . Taylor was also charged with three counts of unlawful torture and killing of dogs, and Peace was charged with one count. Each is a felony charge with a maximum 5 year prison term. The grand jury declined to bring eight possible additional counts of animal cruelty against the s.
[Surry County Commonwealth Attorney Gerald] Poindexter said he pursued the case because “crimes that were not prosecuted were committed in Surry County.” But he would not say whether his prosecutors put Vick’s federal court admission that he killed dogs before the grand jury. “Come on, lady, how much do you need to know?” he told a reporter who was pressing the issue. 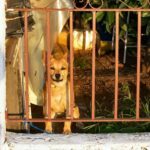 A team of animal behavior experts selected by the American Society for the Prevention of Cruelty to Animals analyzed the 49 seized dogs and then recommended whether they were suitable either to be adopted by families, trained as police dogs, placed in a sanctuary, or should be euthanized. Only one dog was recommended for euthanasia because of extreme aggression. The others were deemed suitable to go to sanctuaries or foster homes for socialization training. 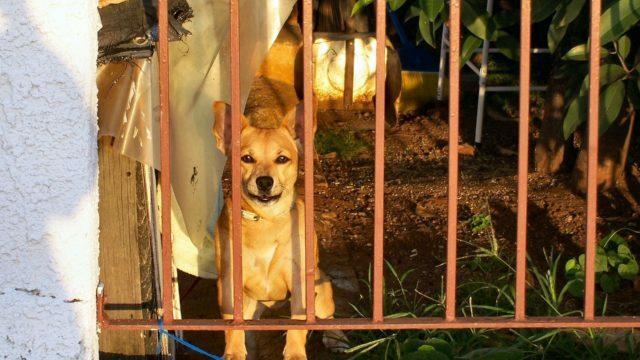 The U.S. District Court appointed Rebecca J. Huss, Professor of Law at Valparaiso University School of Law, as the guardian/special master to advise the Court regarding the final disposition of the remaining 48 seized dogs. Per her recommendation, the dogs were eventually dispersed to eight rescue organizations for adoption, rehabilitation or lifetime care in sanctuaries, where they have been neutered. In a single day, Vick bought a $99,000 Mercedes; he cashed checks that totaled $24,900; he gave $44,000 to friends and relations; he paid a public relations firm $23,000; and then he reported to prison. In less than 3 months since the day he pled guilty to federal charges, Vick spent over $3 million. At the sentencing hearing, due to Vick’s deliberate false statements to federal investigators about his role in killing dogs, the prosecutor recommended Vick be sentenced at the upper end of the 12-18 month guideline range. Vick had also lied to investigators about testing positive for marijuana in September, a violation of the terms of his release on bail. A probation officer, who did not believe Vick had accepted responsibility, recommended an enhanced sentencing range of between 18 months and two years in prison. 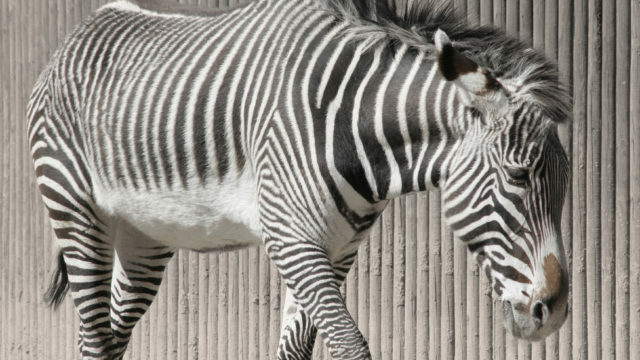 U.S. District Judge Henry E. Hudson said Vick also played a major role by “promoting, funding and facilitating this cruel and inhumane sporting activity”. The judge added at least 5 months to the prosecutor’s recommended prison term, sentencing Michael Vick to 23 months in prison. Vick also received three years’ supervised probation during which he cannot buy, sell or own dogs. He was fined $5,000. Vick was also ordered to pay $928,073 as restitution for the 53 dogs seized from his property. He was required to enter a drug/alcohol treatment program and pay for the cost of treatment. 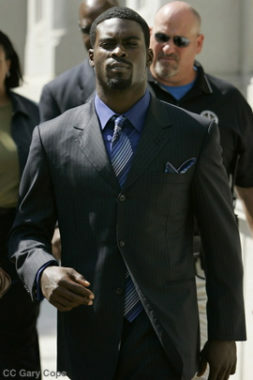 Vick is scheduled to be released from federal prison July 20, 2009. Peace, Phillips and Taylor all pled guilty to the same charge earlier in the year. Peace was sentenced to 18 months prison and Phillips to 21 months prison. A few days later, Tony Taylor was sentenced. Since Taylor had been the first co-conspirator to plead guilty and had provided investigators with details of the dogfighting operation, the prosecutor had recommended that Taylor only serve probation. However, the judge said it wouldn’t be fair to give Taylor probation after sentencing his co-defendants to 18 months or more in prison. 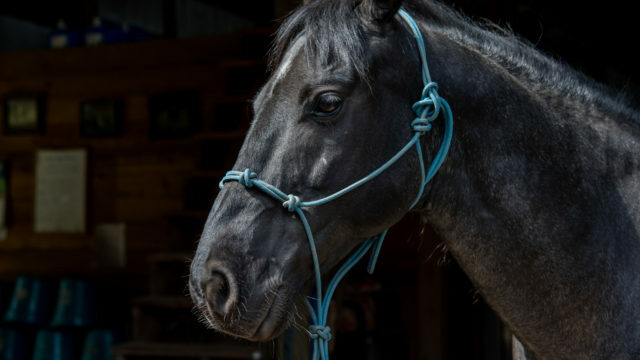 He told Taylor, “You were as much an abuser of animals as any other defendant in this case.” The judge sentenced Taylor to 2 months in prison. The defendants cannot appeal the judge’s sentences. Oscar Allen, who had sold a pit bull to Vick and had attended some of the fights, was sentenced to 3 years probation and a $500 fine. In October 2007 he had pled guilty to conspiracy to travel in interstate commerce and to aiding in illegal gambling and to sponsoring a dog in animal fighting. He had cooperated with the federal investigation. NPR news reported that Leo, a former Bad Newz dog, is now working as a therapy dog for cancer patients. Michael Vick filed for Chapter 11 bankruptcy protection, with assets around $16 million and liabilities over $20 million. Each defendant pled guilty to one felony count of dogfighting. Cruelty to animals charges were dropped. The judge ordered a three-year suspended prison term and a $2,500 fine, which will also be suspended if they pay court costs of $380 and maintain good behavior for four years. Upon resolving the state charges, Vick became eligible to complete his federal prison term in a halfway house, rather than remain in federal prison until his scheduled release date of July 20, 2009. He expects to be reinstated in the NFL. After 18 months, Vick was released from federal prison in Leavenworth, Kansas to spend the final two months of his sentence confined to his luxury home in Virginia. Vick’s electronic ankle monitor was removed and his federal incarceration ended. NFL Commissioner Roger Goodell reinstated Vick into the NFL with some conditions. Subsequently, Vick was hired to play football for the Philadelphia Eagles with a base salary of $1.6 million for the first season. Under a court mandated bankruptcy agreement that extends to 2015, much of Vick’s salary goes to pay off debts he accumulated prior to his incarceration. Vick agreed to speak to various community groups as part of an anti-dogfighting campaign organized by the Humane Society of the United States. Investigations continued into Vick’s alleged illegal gifts to friends and family prior to his incarceration and declaration of bankruptcy. Many of the dogs have been adopted into homes with children and other dogs. Some, like Mel, continue to deal with fear issues, whereas others work as therapy dogs in hospitals or children’s programs. 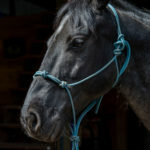 Some will live out their lives at Best Friends Animal Society. More details of the dogs’ lives since their rescue are recounted in Jim Gorant’s book The Lost Dogs. The Philadelphia Eagles named Vick as the team’s starting quarterback and will be paying him $5.25 million this season. Vick stated that in the future he would like to have a dog again as a family pet.